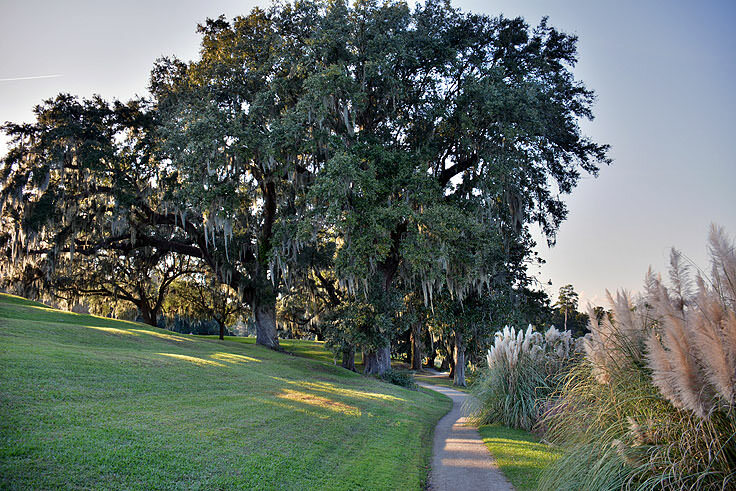 With expansive gardens that rival the best botanical gardens in the country, sky-high live oaks dripping with Spanish moss, and intricately laid out paths that tour the scene, Middleton Place clearly holds an unforgettable spot in the hearts of garden lovers. 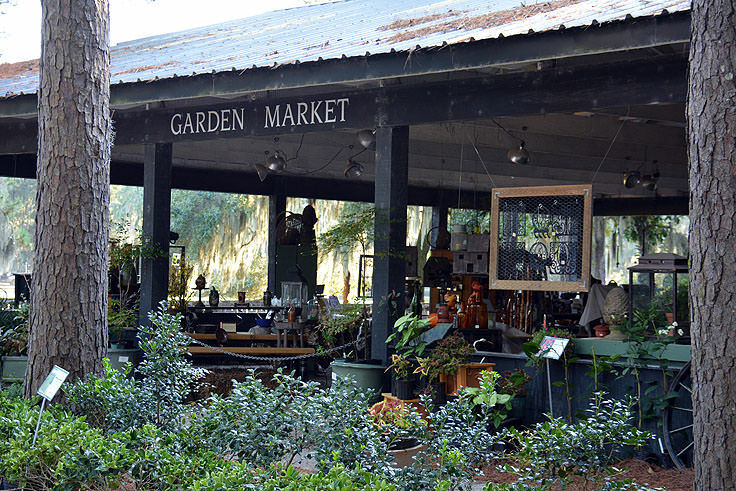 That being said, the historic site, located on the outskirts of downtown Charleston along Ashley River Road, is a famed attraction with mass appeal for a number of additional reasons. 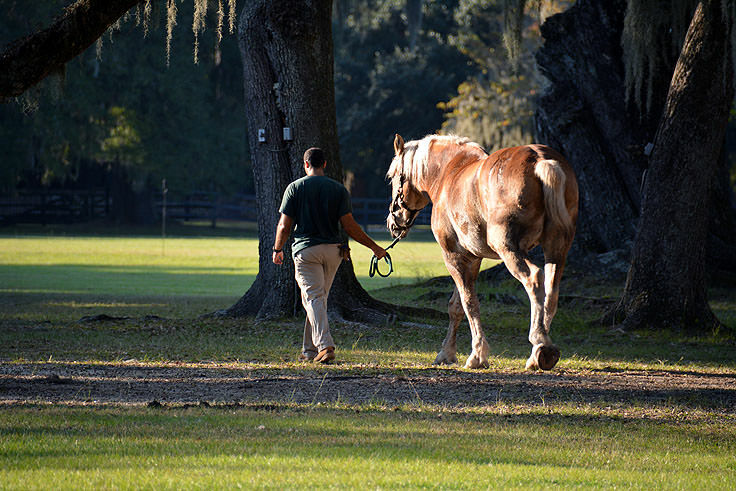 Boasting a rejuvenated plantation house and stables, craft artisans hard at work, an on-site restaurant and inn, and incredible views of the adjacent Ashley River and well-tended ponds, virtually every visitor will fall in love with this utterly charming Charleston setting. 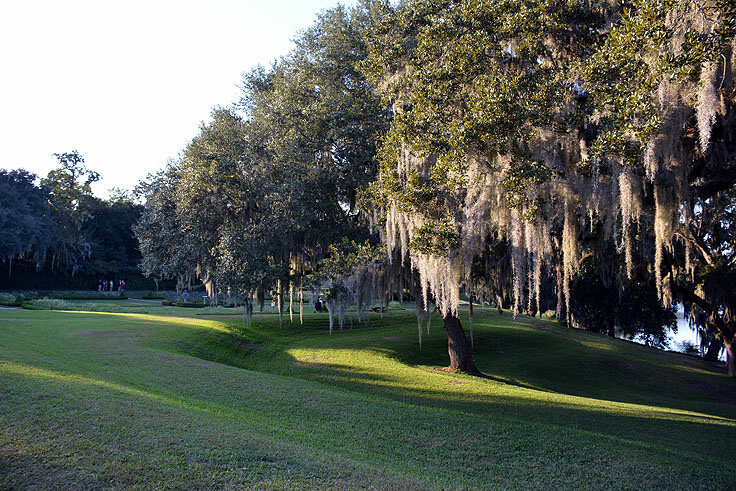 The plantation was built in phases during the mid-18th and 19th centuries, and was the primary home of the local Middleton family, who were a Charleston fixture since the Colonial era. 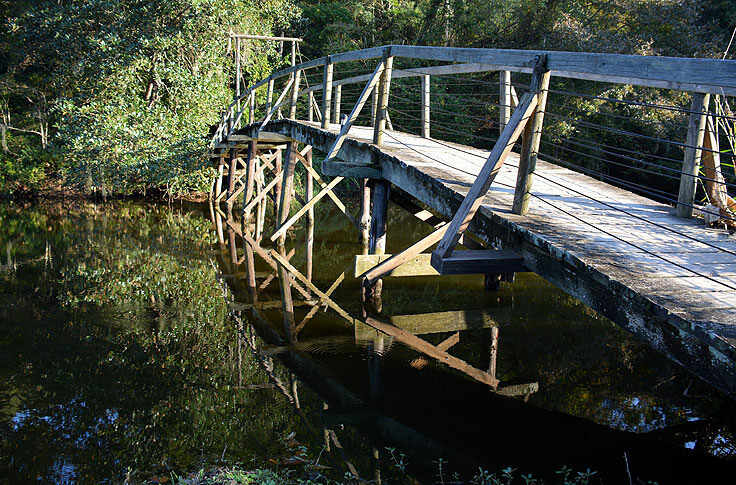 The patriarch of the family, John Williams, began building the home in the 1730s, before the project was passed on to his son-in-law Henry Middleton, a later president of the First Continental Congress. 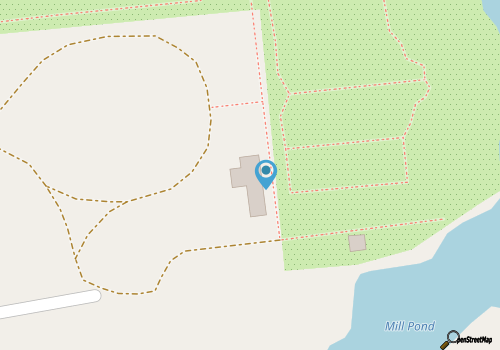 Henry completed the main home during his lifetime, and his son Arthur Middleton, a signer of the Declaration of Independence, lived in the house during the latter years of his life, eventually passing it on to his son and grandson, Henry and Williams. 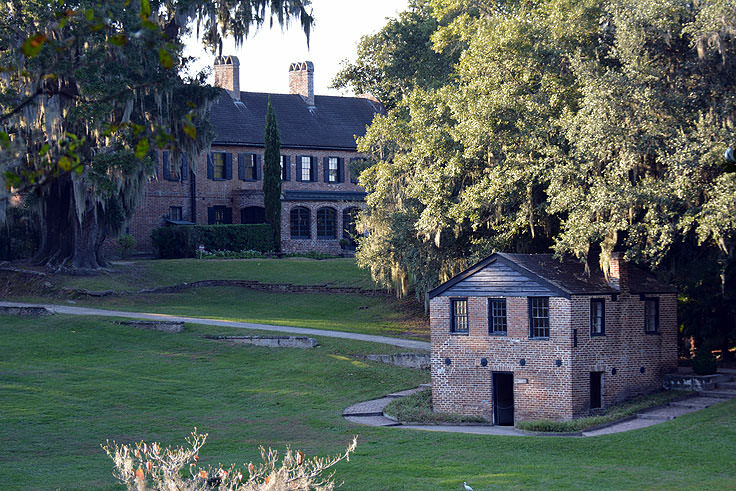 By this point in the succession, it was the mid-1800s and the rice industry was thriving in Charleston, and Williams began transforming the Lowcountry estate into an active, and profitable, rice plantation. 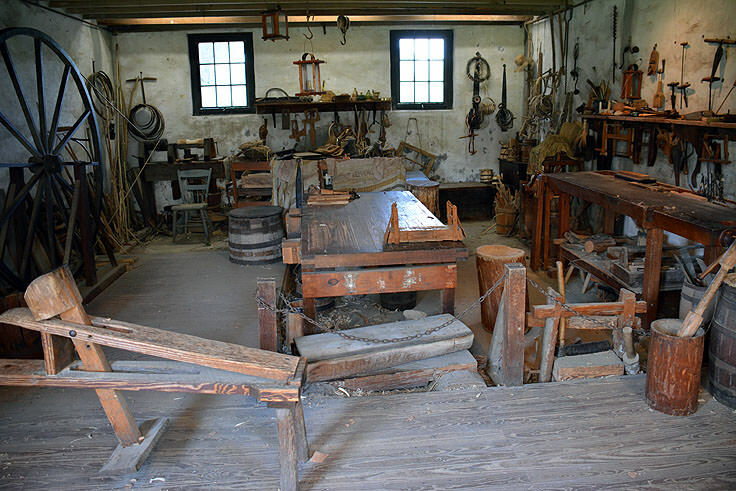 This would not last long, however, as the Civil War curtailed the business, and the end of the war destroyed it all together, as Union Soldiers burned the majority of the house, leaving only the gutted walls of the north wing. 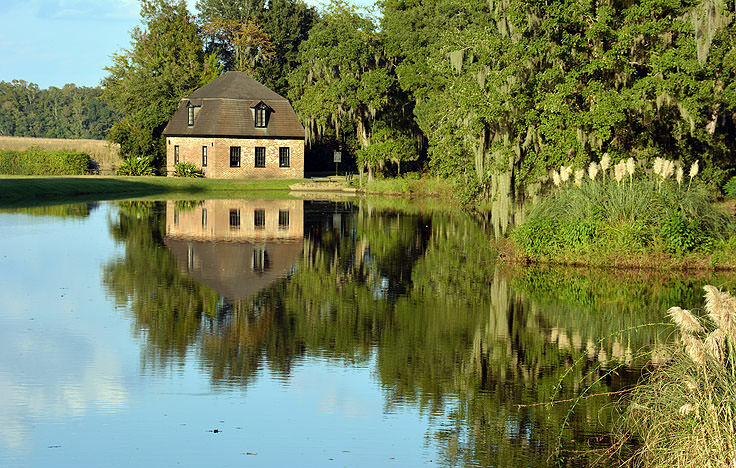 Middleton Place was left abandoned for several decades until a new Middleton descendent, John Julius Pringle Smith, took the reins and began a long and arduous renovation of the home in 1916. 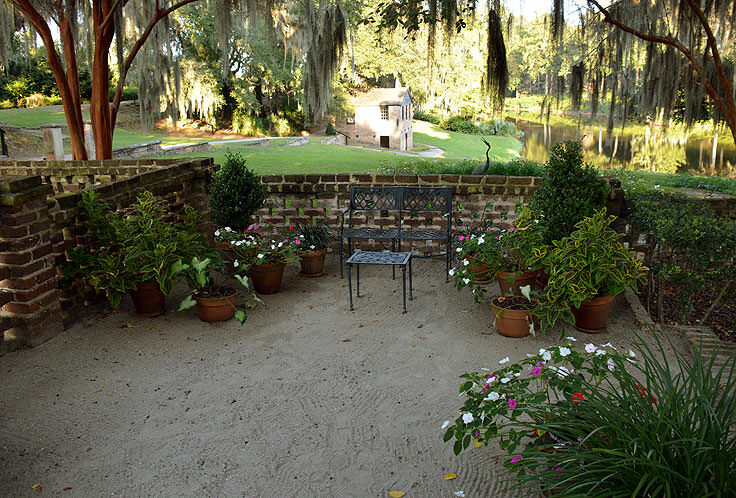 The most important facet of this renovation for John and his wife Heningham, arguably, was the meticulous rebuilding of the plantation's gardens, a process that took the couple several decades to complete. 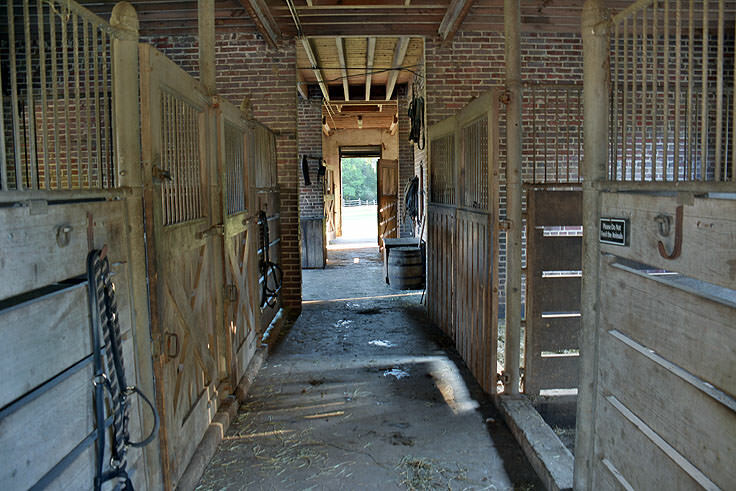 In addition, the couple built a stable yard complex of barns, work buildings, and cottages, all constructed with salvaged brick from the original, and now long-gone home. 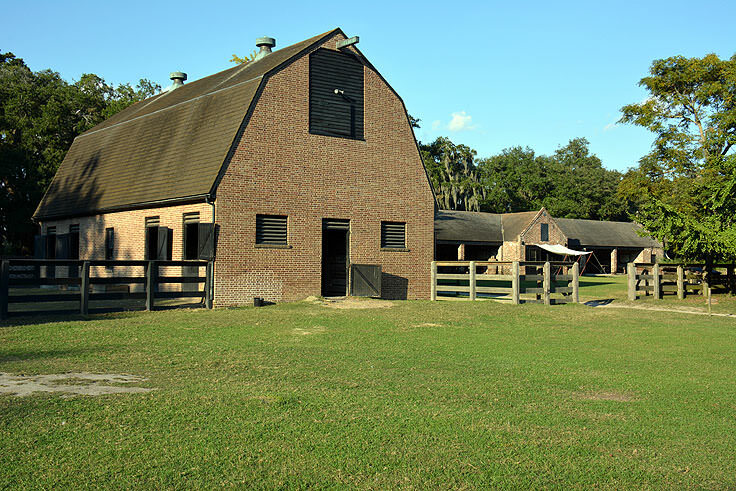 In the 1970s, just as 100 acres of the 7,000 acre was granted a spot on the National Register of Historic Places, the Middleton descendants gave the now-stunning property, including the stable complex and gardens, to the non-profit Middleton Place Foundation, which opened the site to the public, and continues to manage the property to the delight of visitors and long-time locals alike. 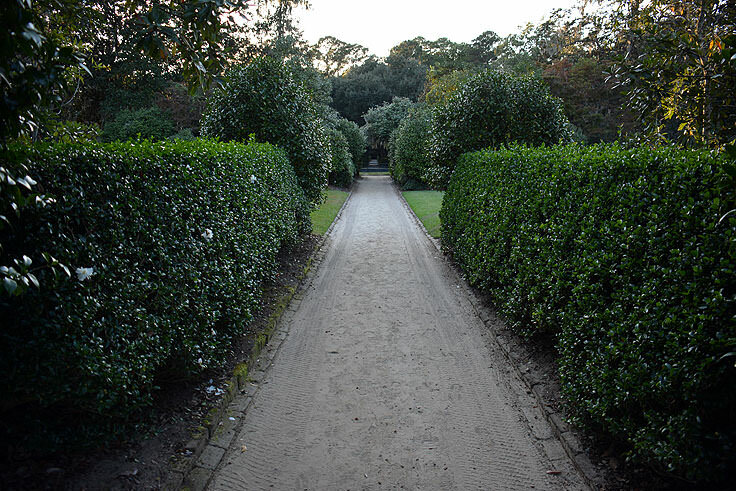 Today the gardens, which were a labor of love for John and Heningham, are arguably some of the most spectacular in Charleston, and have been historically and legendarily hailed by the Garden Club of America as the "the most interesting and important garden in the United States." 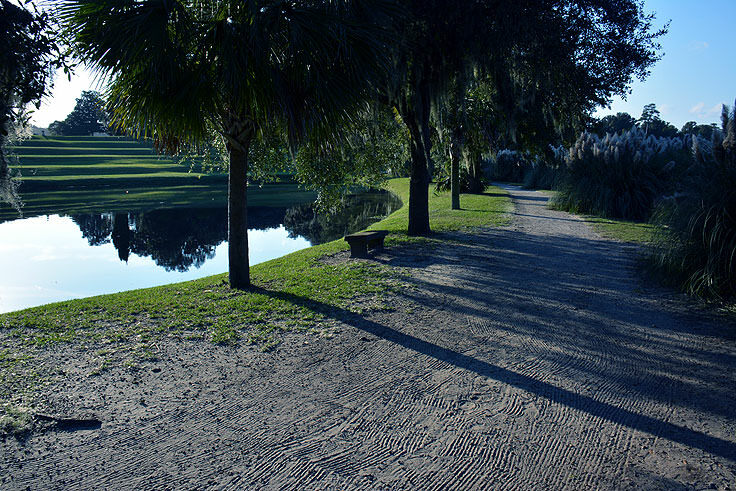 Though this declaration was made nearly 80 years ago, the gardens are currently no less impressive, and continue to wow visitors with their unique designs, waterfront views, and burst of colors that border well-manicured walkways or allees. 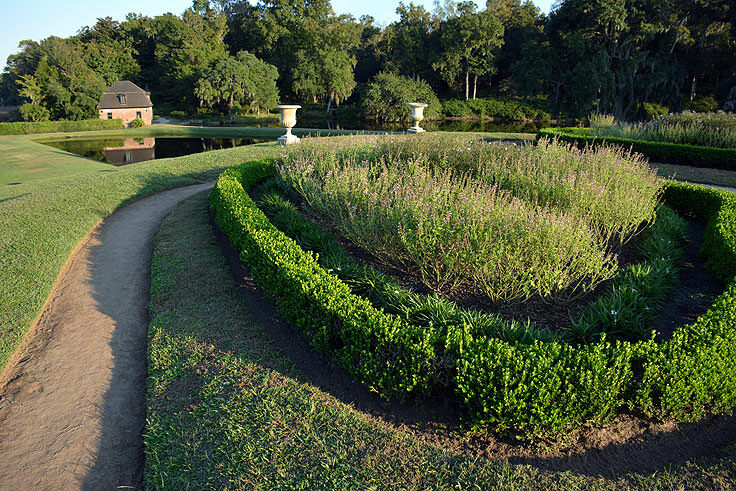 Henry Middleton's original 1740s vision was to recreate the grand classic style of gardens that were in vogue in Europe and England. 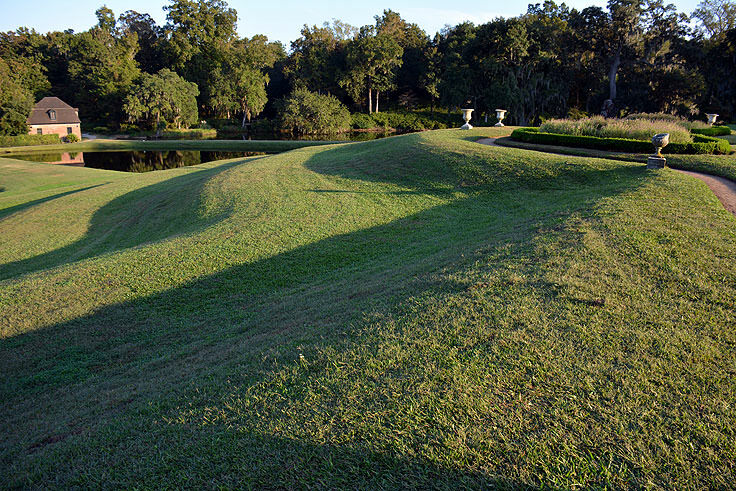 Rational order, geometry, and balance were all key components of such a space, and experienced garden lovers will notice these attributes in droves from the pie-shaded walkways to the overall layout, with each portion divided into perfectly mathematical "sections" that are divided into different axes. 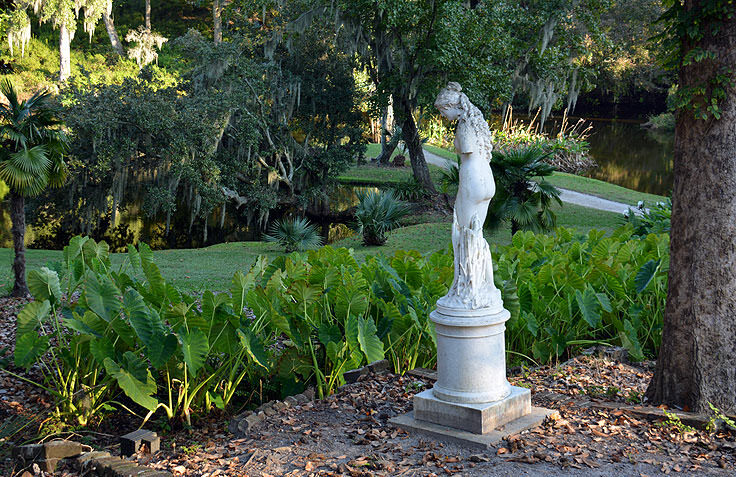 The bones of this great 65 acre garden still remain intact, and while the original layout is strictly adhered to, the Middleton descendants added splashes of color and a variety of new and unique species for the time that thrive in the humid Lowcountry climate. 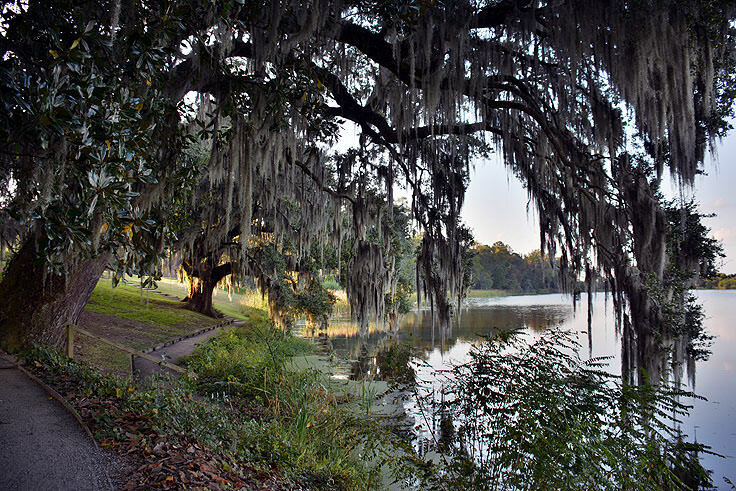 Centuries-old camellias and azaleas, magnolias, crepe myrtles, fragrant roses, and springtime bulbs are all part of the scene, with each season bringing a new wave of color along the ponds and riverfront alcoves. 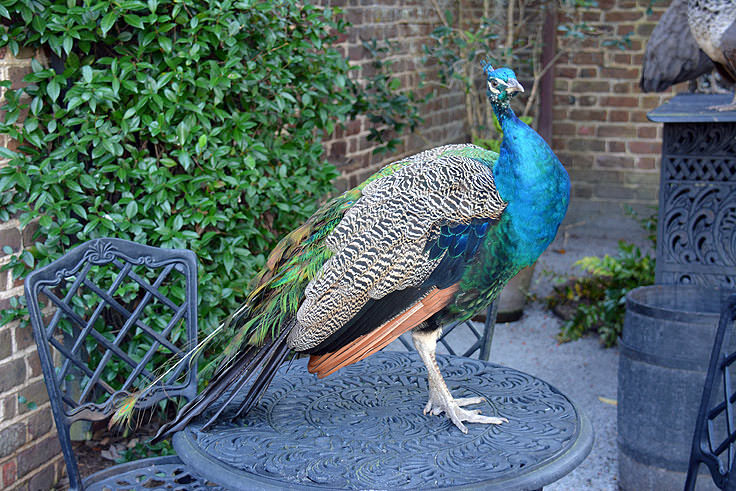 Complimentary tours, which touch on each notable species, are available daily on the hour from 10:00 a.m. until 3:00 p.m., and a neighboring Garden Shop sells seasonal plantings of the garden's most beloved species. The House Museum draws equal admiration for the stunningly unique brick façade, and treasure trove of authentic Middleton family antiques that can be found inside. 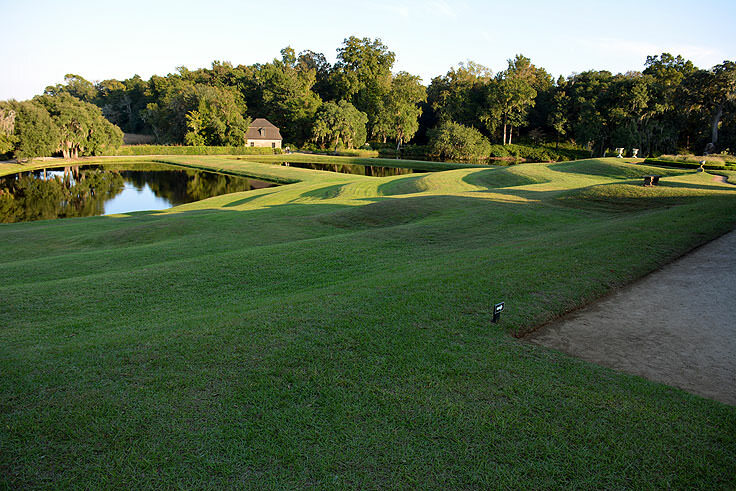 Guided tours of the site introduce visitors to the generations of Middleton family members who considered the grand house a home, as well as the slaves and servants who were an essential component of the everyday operations. 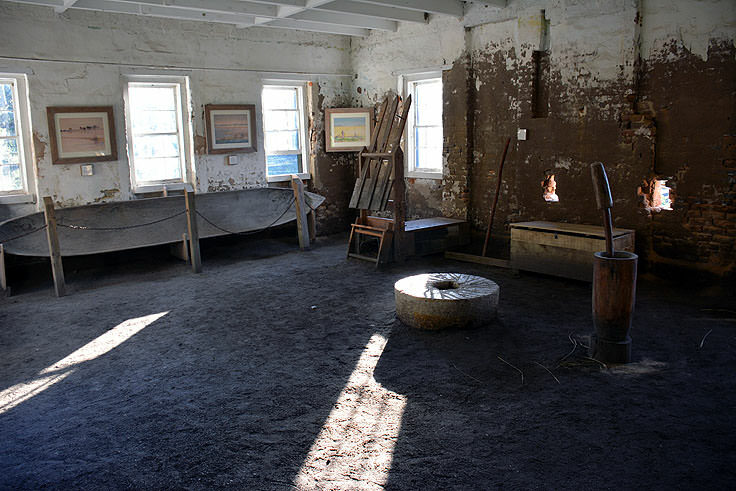 An extraordinary collection of original portraits, furniture, china, silver, family documents and other family artifacts are scattered throughout the estate, and guided tours that last 45 minutes or so uncover all aspects of the home's residents and their stories, from the Colonial era to the 20th century renovations. 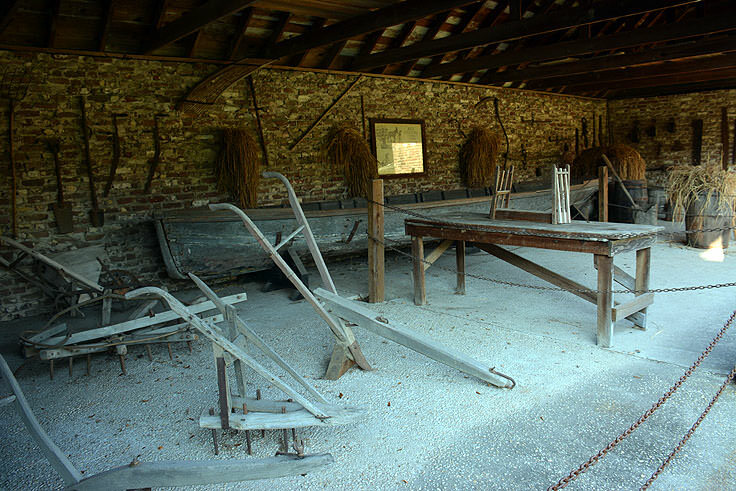 The third tour-worthy site within Middleton Place, the Plantation Stableyards, is a favorite attraction for young visitors, with a menagerie of animals that are representative of the two centuries of livestock that were staples of the plantation scene.Water buffalo, sheep, goats, Guinea hogs and poultry can all be found here, as well as weavers, coopers, carpenters, potters and blacksmiths, who are all hard at work, and are happy to explain to visitors the finer points of their craft. 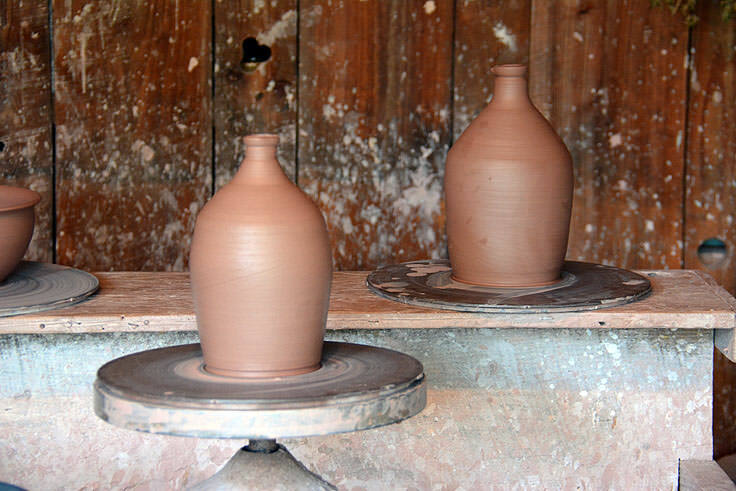 Slavery and reconstruction are also discussed, in detail, giving a sobering perspective on the hard labor involved to keep such a grand-scale plantation running. 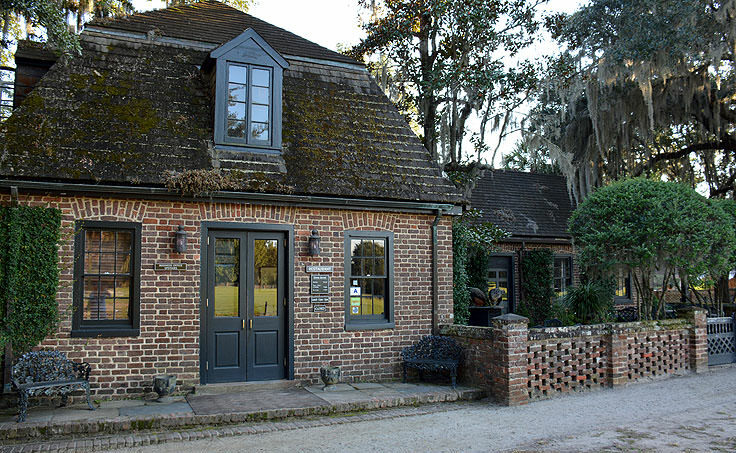 Visitors who fall in love with the site, (and many do), can opt to stay adjacent to the gardens and the plantation home at The Inn, a relaxing retreat that features 55 secluded rooms tucked away in a shaded landscape of tall pine trees and live oaks. 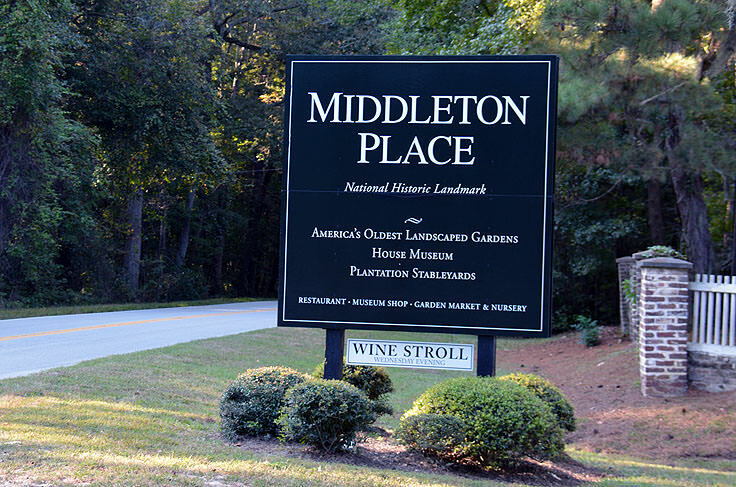 There's also a restaurant on site, appropriately named the Middleton Place Restaurant, which is open seasonally for lunch and dinner. 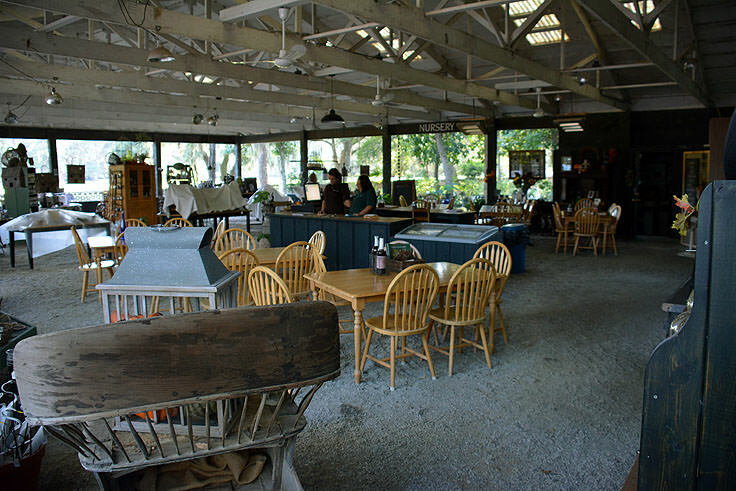 With fresh ingredients and stunning views, the restaurant is arguably one of the most romantic dining establishments in Charleston. 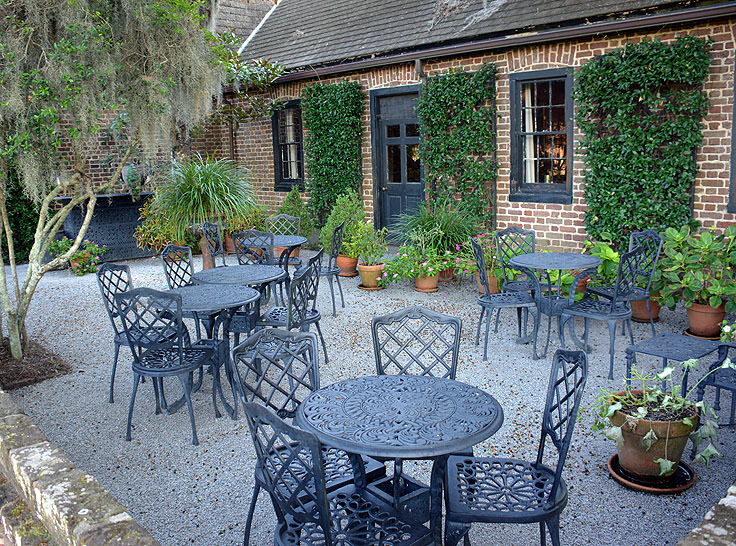 More information on the restaurant's hours of operation can be found online at https://www.middletonplace.org/restaurant.html, and reservations at the Inn can be made at http://www.theinnatmiddletonplace.com/. 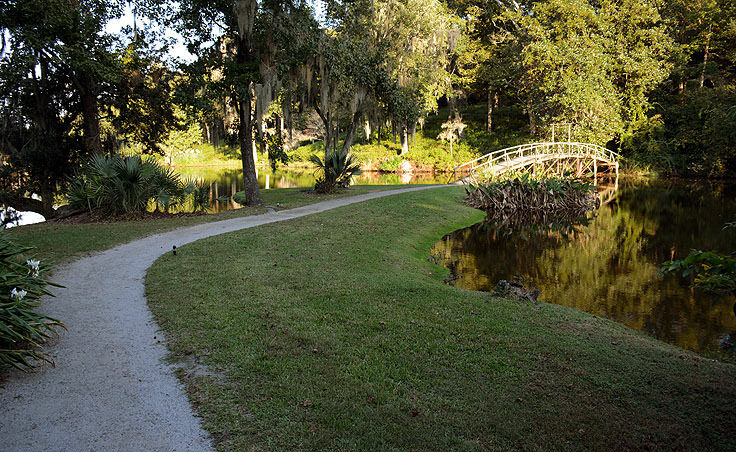 Middleton Place is open daily from 9:00 a.m. until 5:00 p.m., and ticket prices vary based on age, and desired tours. General admission generally runs about $28 for adults, $15 for students, and $10 for children ages 6-13. 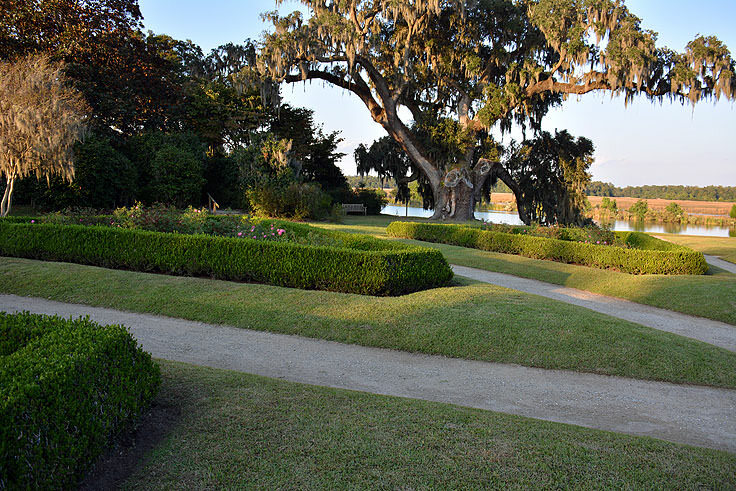 The site, especially the gardens, is also a very popular venue for weddings and receptions, and hosts a number of educational programs and special events throughout the year. 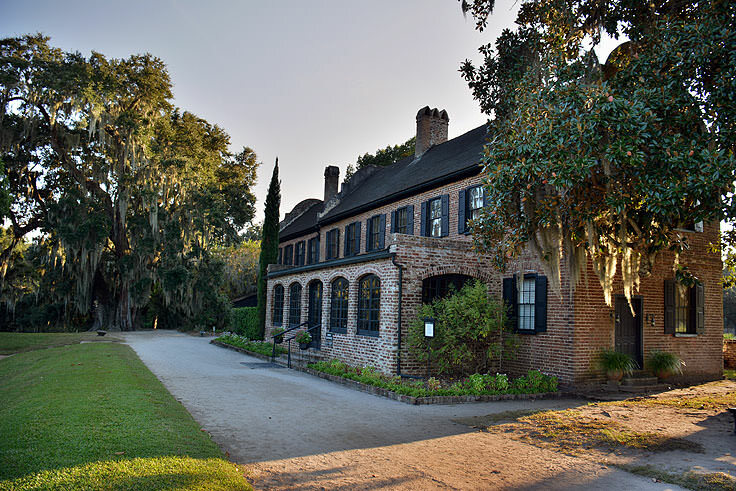 Visitors should refer to the online calendar at https://www.middletonplace.org/visiting-middleton-place/events-calendar.html for more information on special programs that coincide with their Charleston vacation. 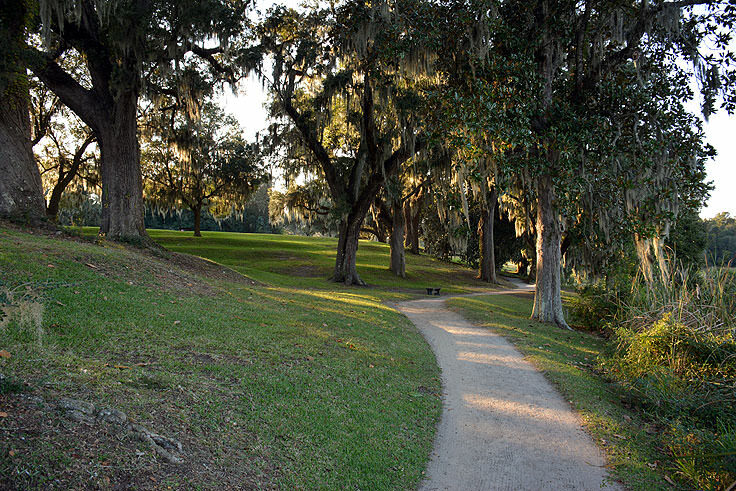 Arguably one of the most beautiful stretches of land in Charleston, Middleton Place is an inspiring landmark that beckons visitors to return again and again to see what new seasonal blooms are in full display. 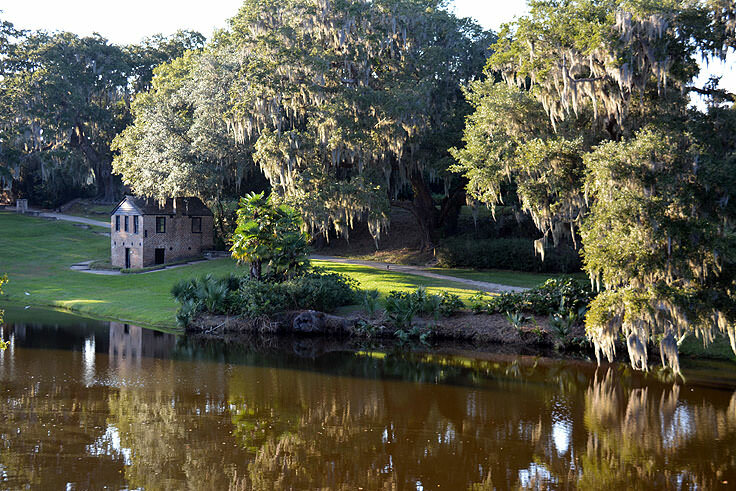 With a camera all but required, newcomers will surely agree that Middleton Place is a can't-miss Charleston attraction that is sure to linger as a happy and memorable stop, long after a South Carolina vacation has ended.